Smoking seems to be one of the basic needs of the majority of people around the world, including in Indonesia. Various reasons are always accompanied such strong though more manly, strong and spirited men or simply want to eliminate all the live load and stress is always experienced. When in fact all people including smokers themselves have learned that there is the content of harmful substances that would be bad for the health of the body, especially the organs in the body. Then, the organs of what will be damaged by the smoking habit ... ??? Organ Heart: This organ is the organ of the first to feel the effects of smoking. This is because, if a person smokes a cigarette continuously, there will be a hardening and narrowing of the blood vessels. So the heart has to work harder in the blood flow throughout the body. So a heart attack or stroke will come for those who like smoke suddenly. Organ Eyes: It is an organ which was also badly affected for those classified as smokers. Macular degeneration or permanent blindness is one of the worst effects that will disturb one's vision that his hobby of smoking in all its activities. Organ Lung: This is one of the organs that were damaged on each smoker. Diseases that afflict lungs pneumonia and bronchitis. If you do not stop smoking now, then both the disease gets worse from day to day. Organ Kidney: This is one of the organs that are also experiencing problems, if we smoke cigarettes continuously. Kidney cancer is the impact of the worst that can attack the kidneys in smokers. 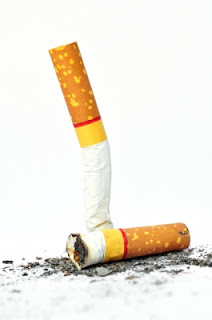 Diabetes, erectile dysfunction or impotence, cancer of the mouth, health problems in dental, infertility, respiratory disorders, pancreatic cancer and blood cancers are diseases that can attack someone who is not able to stop the bad habit of smoking cigarettes continuously throughout his life. Smoking habits may be difficult to remove, but after learning various bad effects of smoking on the health of the body above, we still do not realize yourself to quit or stop smoking from this moment. STOP SMOKING FOR BETTER LIFE.